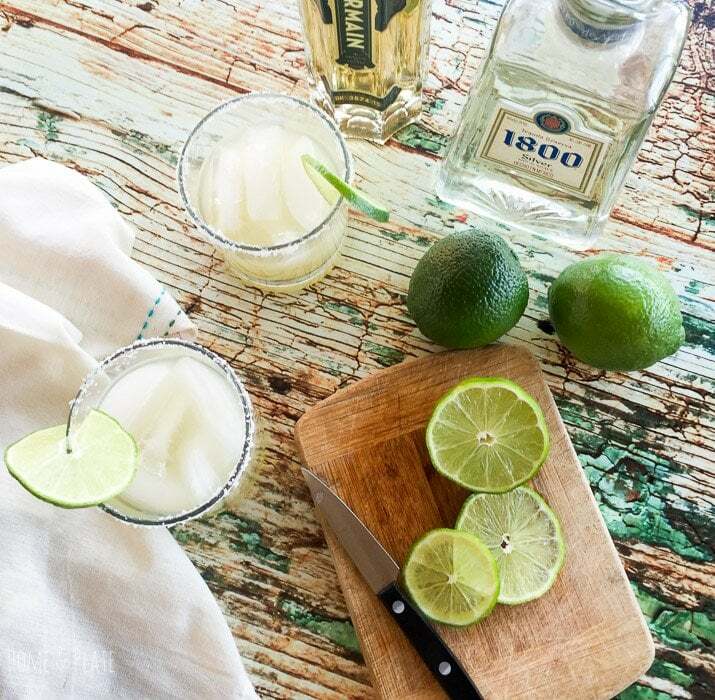 Celebrate cinco de Mayo with a twish on the classic margarita. Swap out the simple syrup in the Silver Elderflower Margarita with a secret ingredient! Cinco de Mayo without margaritas would be a crime. I love a good margarita that’s made with quality ingredients. 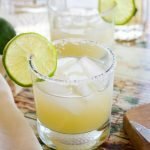 So for this recipe I stepped it up a notch by adding elderflower liqueur to these popular Mexican cocktails. Is it 5 o’clock yet? 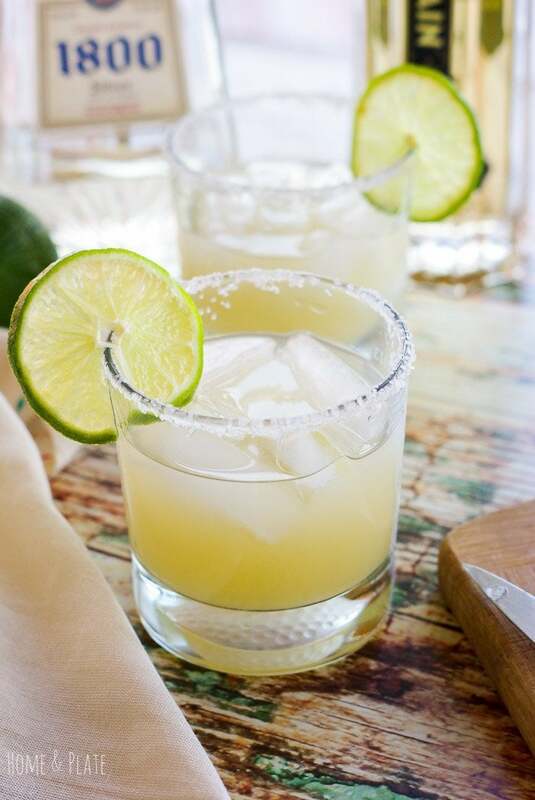 Margaritas are an easy and festive drink anytime but they are really perfect for this holiday. After all, who really needs an excuse to celebrate Cinco de Mayo? Enjoying dinner with the neighbors is something my family regularly does once the weather warms. On the menu were jerk fish tacos with a mango cilantro salsa. The dish called for margaritas as an accompaniment. 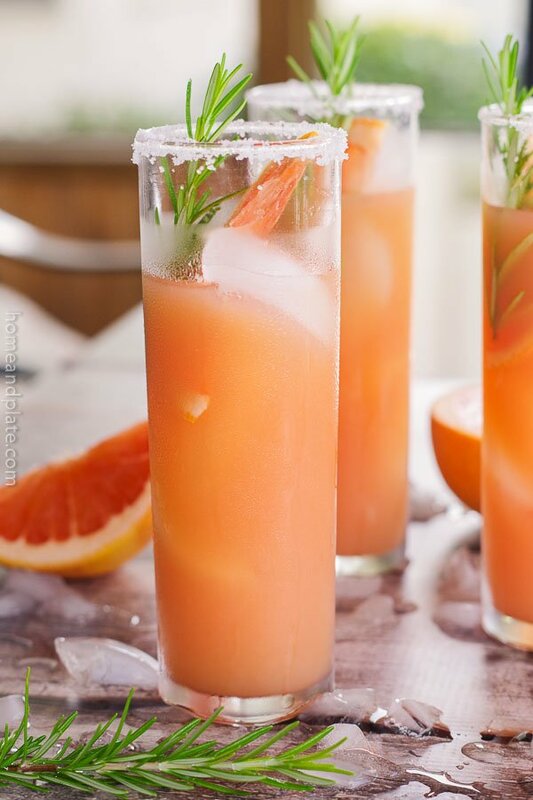 Typically my margaritas consist of an orange flavored liqueur like Grand Marnier and you can get that recipe here. Now that’s a pricey bottle of liquor. With a full bottle of St. Germain Elderflower Liqueur on the shelf we found the perfect substitution and a little goes a long way. 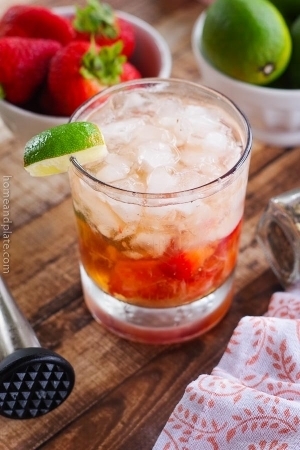 As always my margaritas have a secret ingredient that brings out the best flavor in this cocktail. Powdered sugar dissolved into the lime juice adds the perfect sweetness to this afternoon beverage. How are you celebrating Cinco de Mayo? Pour enough kosher salt on a plate. Run fresh lime around the rim of two rocks glasses. Dip both glasses in kosher salt. Fill each glass with ice. Ooohhh I want to have dinner with you! Jerk tacos AND this fab drink? Yes please!! Just in time for Cinco de Mayo!! This Margarita looks amazing. Your photos are beautiful =) Pinning. Thanks Oriana. Margaritas are great on Cinco de Mayo. Course I like them other times of the year too. Enjoy. I have never heard of Elderflower liqueur! Sounds delightful! Beth, it’s a great addition to so many cocktails. You should see if you can find it and enjoy it this summer. A splash goes along way. You had me at margarita, but then the added flavors really upped it big time! Is it 5:00 yet?! This recipe is a keeper. 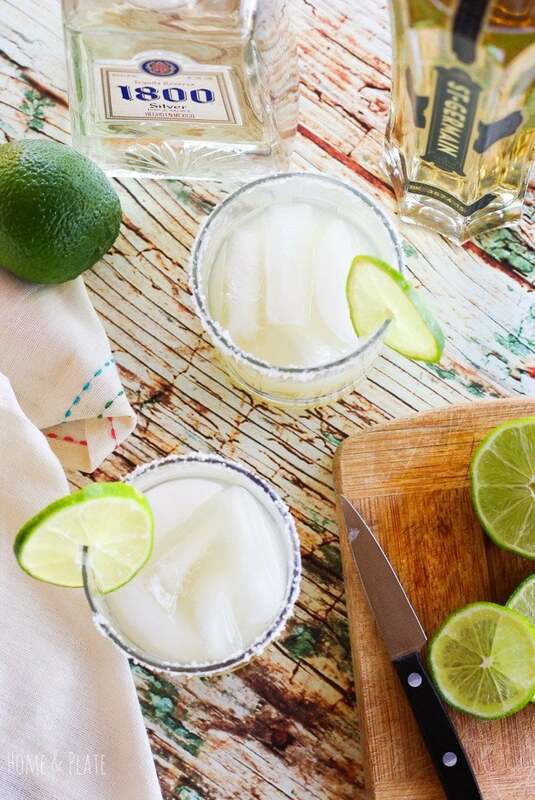 Of course all margarita recipes are keepers. And yes it is 5 o’clock. This looks like just the ticket right now. So lovely! I want one right now! So tempting!! I love using elderflower liqueur! I would love it if you would link this up to Tipsy Tuesday at Grey is the New Black!